Nutrition Educators will help teachers and school food service directors by developing and implementing nutrition programs that will educate children about the benefits of making healthy eating choices. Members will assist with creating and implementing healthy food curricula including school or community garden development, cooking in the classroom programs or field trips to farms, and work with schools to help implement wellness programs. Members will share information with other Members to create a statewide network; and provide data and information to be used in a best practices guide that can be used by other schools. 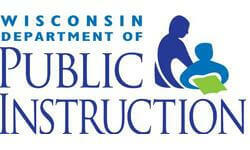 We will share your profile and application with Wisconsin Department of Public Instruction. Before we can tell Wisconsin Department of Public Instruction to look at your profile and review your application, we need a few more details about you.